The World Wiser Sport Committee, headquartered in the United States, is the flagship organization for the Wiser sport worldwide. 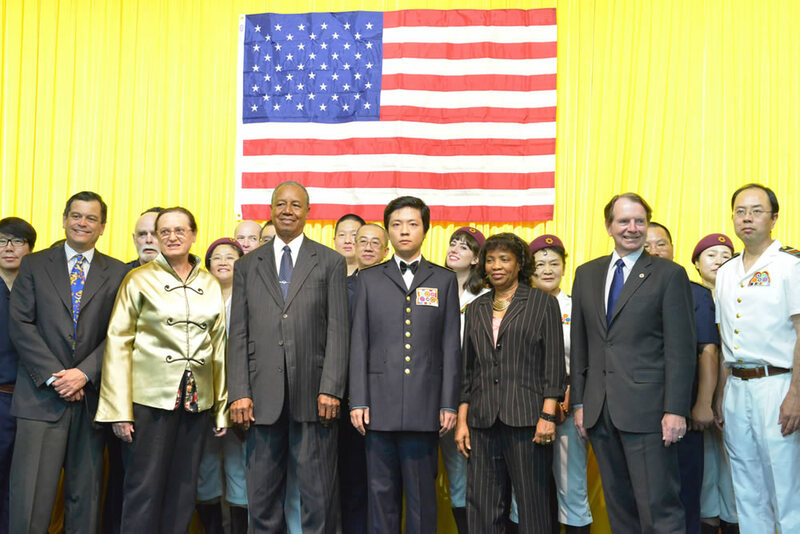 It held its first inaugural ceremony on the afternoon of March 2nd, 2013, at its headquarters in Covina, California. Leaders of national, provincial and state Wiser sport organizations attended the large-scale gathering. They came from more than ten countries and regions, such as the United States, Canada, China, Thailand, Vietnam, South Africa, Paraguay, Malaysia, Taiwan, and Hong Kong. The mayor of Covina city and some diplomatic envoys and honored guests also came to view the ceremony and extend their congratulations. The Wiser sport originated as the highest-class ball sport played in ancient palaces and royal courts by emperors, kings, ministers, scholar-officials and Western heads of state in order to exercise the body, cultivate the ability to strategize, and have a battle of wits. Unfortunately, after the passage of a long period of time, it became a lost sport. However, a magnificent, selfless, elder virtuous one has now rediscovered and perfected the Wiser sport for the benefit of the public. This elder virtuous one has a noble moral character. In the 112th Congress, the United States Senate passed through unanimous consent resolution 614, which commended this elder virtuous one for the contributions he has made to humanity. During the inaugural ceremony on March 2nd, committee members and supervisors unanimously selected Vic Yee to take office as the President of World Wiser Sport Committee. Vic Yee, as President, then conferred insignia upon Vice-Presidents Gregory Noble, Jessie Hu, and Pengzhi Qi, Secretary-General Vince Huang, committee members Ming Yu Huang, Steven Meyers, and Ding Mar, and Deputy Secretaries-General Amy Roiland, Michael Lin, and Joe Hong. He also conferred insignia upon leaders of Wiser sport organizations in various countries. Each insignia corresponded to the respective offices that were assumed. Moreover, Vic Yee urged workers at every level to strive to spread the Wiser sport all over the world so that all of humanity could enjoy the benefits of this sport. Because the Wiser sport originated in ancient palaces and royal courts, it is a noble sport of gentlemen and ladies. As such, it does not have the casual nature of other ball sports. That is why a dignified appearance and dignified attire are very important. Without those, the noble and elegant spirit of the Wiser sport will be lost. We hope that all players attending in formal national or international Wiser sport tournaments can wear the Wiser uniforms specified by the World Wiser Sport Committee. However, World Wiser Sport Committee has not required players to wear the uniform when practicing Wiser ball or when playing general Wiser ball matches. At such times, players can wear whatever clothing they like. At the inaugural ceremony, many players of the Wiser sport wore such standard uniforms. They looked orderly, neat, and full of energy. The male players had a dignified, handsome bearing, and the female players had a noble, elegant, glowing appearance that conveyed youthful vigor. Wiser is a ball sport in which strategy and exercise are combined, and motion and stillness vie with each other, all in a setting where teams compete against each other. Playing the Wiser sport not only builds physical strength, but it also develops wisdom and brain power. It does not matter if the player is old, middle-aged, young, a teenager, a child, male, female, tall, short, obese, or thin. It does not matter what the player’s ethnicity or race is. A special playing field is not required. Different types of playing fields and various irregularly shaped obstacles are not only part of the overall setting of the sport, but they also provide the key to attaining wisdom. Clever planning and intelligence spring from the minds of players as myriad changes take place during the course of a game. All of this enables players to constantly enrich their minds, improve their wisdom, and experience the delight of extraordinary variety. These are the characteristics of Wiser that all other ball sports lack. The World Wiser Sport Committee is a legally established public-benefit non-profit organization. It is the highest, most authoritative organization that leads the Wiser sport throughout world. It trains different levels of umpires based upon the rules specially formulated for the Wiser sport. It holds international tournaments, guides the work of Wiser Sport Committees in countries and regions around the globe, and leads the expansion of the Wiser sport in countries and regions all over the world. Its mission is to enable people around the world who live in different regions and are of different races, ages, religions, and cultures to play the Wiser sport and, in so doing, rid themselves of illness, delay the aging process, improve their physical and mental health, enhance their wisdom, increase their friends, elevate their morality, and thereby advance world peace and happiness among mankind.